- Uniquely top up your feed & water from the outside! No need to crawl around on your hands and knees! - Designed with UV stabilised materials to keep everything fresh and allow you to see in and know instantly if it's time for a top up. - Patent pending. Designed in-house by our product team! 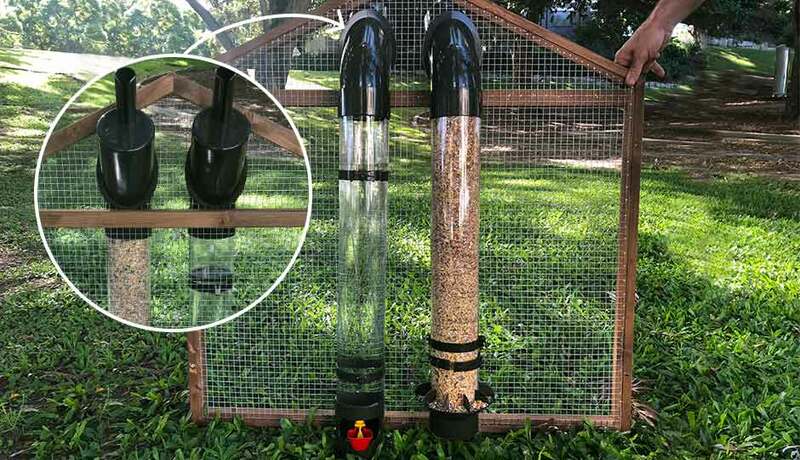 Our exclusive Drinker and Feeder is one of a kind! Made to fit into any coop with ease. Simply top up from the outside, using the handle covers which also function as a feed scoop and protect the food and water from outside elements. You and your chooks will love it.